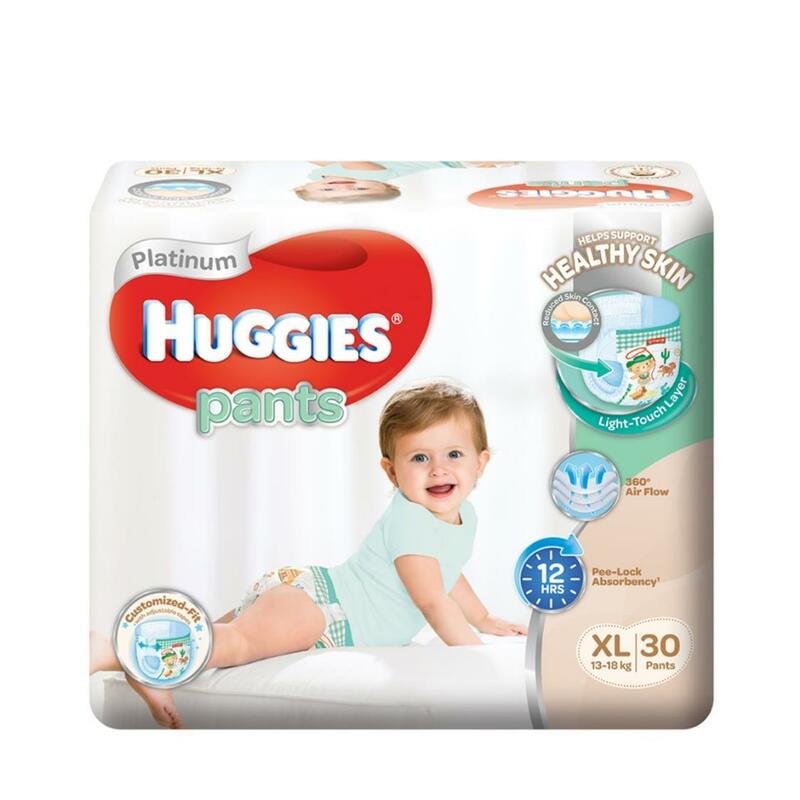 Skin health is important to us at Huggies®, which is why new and improved Huggies Platinum Diapers are specially designed to help support healthy skin. Reduce skin contact between the diaper and your baby’s precious skin with our unique Light-Touch Layer which gives the gentlest hug around your baby. Keep dampness away with our skin-loving liner built for 360° air flow. Prevent messy leaks with our special Soft Slim Absorbent Core Technology that absorbs up to 12 hours1. Adjust for that perfect fit around a wriggly baby with re-fastenable tapes at the sides. Also clinically proven to help prevent diaper rash2, giving outstanding care for delicate skin.